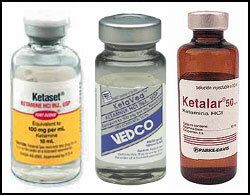 [Medscape][Ask the Experts]IV Ketamine: Suitable for Acute Pain Management in the ED? How effective are subdissociative doses of IV ketamine for acute pain management? Ketamine is a noncompetitive N-methyl D-aspartate (NMDA) receptor antagonist that blocks the release of excitatory neurotransmitter glutamate and provides anesthesia, amnesia, and analgesia by virtue of decreasing central sensitization and the "wind-up" phenomenon. Because of its high lipid solubility, ketamine rapidly crosses the blood-brain barrier, provides quick onset of action (peak concentration at 1 minute after intravenous push [IVP]) and rapid recovery to baseline (duration of action 5-15 minutes after IVP). At subdissociative doses of 0.1-0.5 mg/kg, either as an adjunct to opioid analgesics or as a solo agent, ketamine provides good analgesia while preserving airway patency, ventilation, and cardiovascular stability. A small dose of ketamine also may increase the analgesic potency of opioids, thus decreasing their requirements. Given the aforementioned facts, ketamine represents a lucrative analgesic modality in the emergency department (ED), particularly in patients with opioid-resistant pain (vaso-occlusive pain crisis in patients with sickle cell disease or patients with chronic pain) or polytrauma patients who are hemodynamically unstable. Several studies have reviewed the analgesic and opioid-sparing effects of subdissociative doses of IV ketamine in the ED with recommendations for its use. A double-blind trial of 40 adult patients with acute musculoskeletal trauma compared low-dose ketamine by subcutaneous infusion (0.1 mg/kg/hr) with intermittent morphine (0.1 mg/kg IV every 4 hours ) and demonstrated better pain relief, less sedation, and less nausea and vomiting with ketamine infusion than with intermittent morphine. Additionally, none of the patients in ketamine group required supplementary analgesia. A prospective, randomized trial compared 2 analgesic regimens, morphine with ketamine (K group) or morphine with placebo (P group), for severe acute pain in 73 trauma patients with a visual analog scale (VAS) score of at least 60/100. Morphine was administered at 0.1 mg/kg. Patients in the K group received 0.2 mg/kg of IV ketamine over 10 minutes, and the patients in the P group received isotonic sodium chloride solution. The results showed comparable change in VAS score at 30 minutes -- 34 mm (K) vs 39 mm (P) -- but reduced morphine consumption in the ketamine group: 0.14 mg/kg (K) vs 0.2 mg/kg (P). A chart review analysis of 35 ED patients receiving low-dose ketamine (0.1-0.6 mg/kg) in addition to intravenous morphine demonstrated a decrease in pain intensity for 54% of the patients by a documented 3-point pain decrease on a 10-point scale. The ketamine doses ranged from 5 mg to 35 mg, with a median dose of 10 mg and a mean dose of 15.7 mg. In addition, only 1 patient had a brief dysphoric reaction that did not require intervention. Most recently, an out-of-hospital, prospective, randomized controlled trial of 135 trauma patients compared the analgesic efficacy of IV ketamine vs IV morphine. Results demonstrated a mean pain score change of -5.6 (95% confidence interval [CI], -6.2 to -5.0) in the ketamine group compared with -3.2 (95% CI, -3.7 to -2.7) in the morphine group. However, side effects were noted in 27 of 70 patients (39%; 95% CI, 27%-51%) in the ketamine group compared with 9 of 65 patients in the morphine group (14%; 95% CI, 6%-25%). Finally, from a practical point of view, Jim Ducharme, MD, a clinical professor of medicine at McMaster University and a long-time researcher in ED pain management, has recommended the following algorithm for administration of low-dose ketamine in the ED: initial bolus of 0.2-0.3 mg/kg IV over 10 minutes with subsequent infusion of 0.1-0.3 mg/kg/hr with the premise that this is not a solitary analgesic plan but rather an adjunct to commonly used opioids. There is a paucity of literature supporting the use of ketamine in the ED. Advances have been made to integrate the subdissociative doses of this unique medication into the arsenal of available analgesics in the ED, with promising results. Further research will warrant a head-to-head comparison of subdissociative (analgesic) doses of ketamine with opioids and NSAIDs in treating acute pain in the ED. Abdullah M. Ketamine: a new look at an old drug. 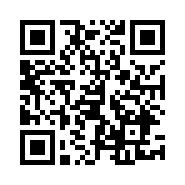 http://www.painfree-ed.com/images/yootheme/painfree/PDF/Pharmacology/K+3.pdf Accessed March 25, 2013. Ducharme J. No pain, big gain: effective pain management. Program and abstracts of the American College of Emergency Physicians 2011 Scientific Assembly; October 15-18, 2011; San Francisco, California.http://webapps.acep.org/sa/Syllabi/SU-78.pdf Accessed March 25, 2013.